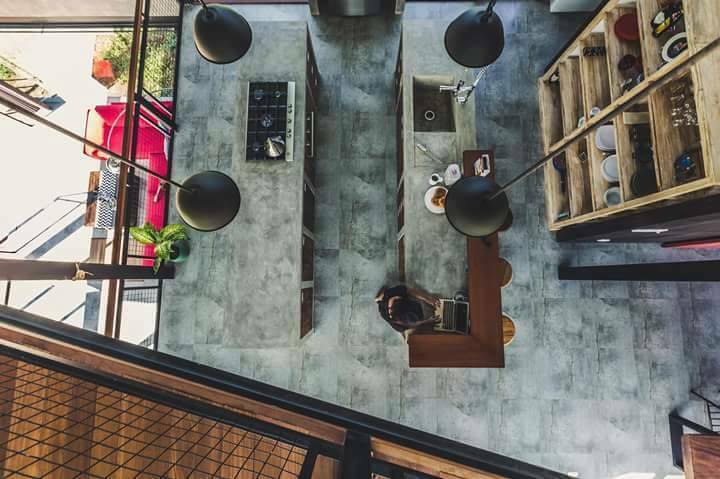 WILLIAMS MEDIA spoke to Made Sulendra from Ade Bali Interior Design and Architecture about his architectural experience and the insights he's learned from working in the property market in Bali. Made Sulendra Founder of Ade Bali Interior Design and Architecture. Wooden terrace of Villa Baba in Pererenan. Sacred Ornaments Tattoo Studio in Echo Beach. 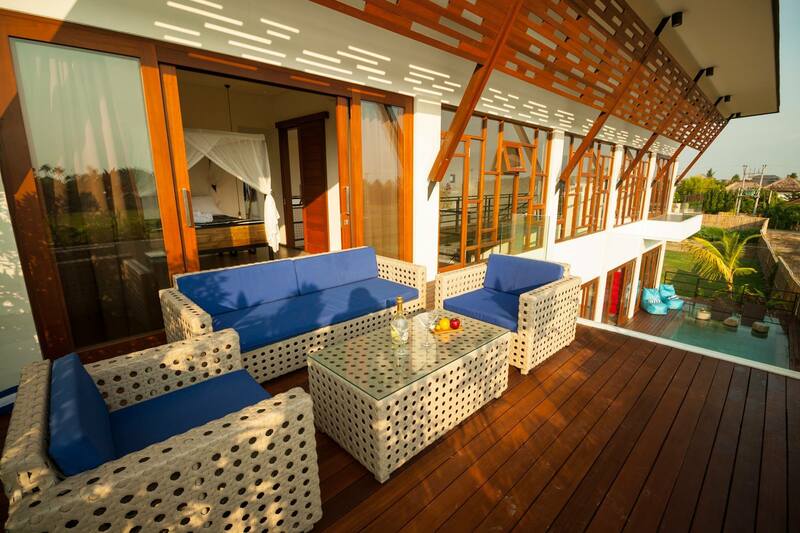 Villa Madagascar's spacious and naturally lit living space. Polished concrete creates an industrial vibe in Yann & Sisie's Villa. Made Sulendra founded Ade Bali Interior Design and Architecture in 2009. There are currently four core members of his team with around 100 other contract-based collaborators hailing from Bali, Java and Manado who specialize in modern, luxury projects including villas, hotels, restaurants, spas and offices in Canggu, Sanur, Seminyak and Ubud. I come from a family who spent a great deal of their time working in building and construction. It wasn't just my father, but also the community he was involved with. It seemed everyone was doing it! I knew from a young age that before you could build anything someone must have come up with the idea and designed it. This fascinated me. It was making ideas and dreams come true. For me, being an architect is all about creating that bridge between an idea and reality. There's nothing more satisfying than hearing a client saying "this is exactly what I want!" or "this is my dream house!" I know I can do that and that's what drives me. What do you enjoy most about being an architect in Bali? I enjoy meeting new people and clients. Everyone has different ideas and different tastes and that's a challenge. But being able to interpret their ideas and needs and then create designs around them is a great feeling. It takes time, patience and understanding and that's a challenge, for sure, but I like that. What has changed in your industry in the last 5 years? It's mostly in terms of style, especially styles and ideas from other countries, which have influenced Balinese architecture. Where do you see Bali in 10 years? Bali is going to get more advanced, especially in the areas of alternative energy, water management and using recycled materials. We've had more clients asking us to incorporate solar power and smart ways to use rainwater into their homes. And even those who want us to use recycled materials. We welcome this, as it's important to think of ways to be environmentally sustainable in this business, especially in Bali, which is such a beautiful and natural place. My prediction is that we will see more and more of these eco-friendly initiatives in the next 10 years. What areas do you see emerging in Bali's property/hotel space? In my opinion, the most happening places right now are Canggu, Ubud, and Jimbaran, especially when it comes to building villas, hotels and restaurants. What advice do you have for people looking to buy land and build their own property in Bali? I would suggest buyers make sure the land status is not under dispute and is legal for you to build on. That means no building in greenbelt areas! Also make sure you have everything clean and legal, especially with building permits IMBs before any construction starts. For me my highlight is the satisfaction in seeing my designs constructed into buildings. I am very grateful to be trusted by clients to build in such promising areas, such Canggu, Sanur, and Ubud. These things encourage me to keep improving my knowledge and skills in architectural design and building constructions so we can maintain our high quality services. To see examples of Ade Bali Interior Design and Architecture's work, visit their company's Facebook page. And if you're interested in building or renovating a new home, hotel or restaurant in Bali, email Made Sulendra via the contact details below.